Scientists warn of potential spread of Zika virus by another mosquito species. VERO BEACH – University of Florida scientists say another mosquito may carry the Zika virus this year, but more research and tests are needed to confirm the early lab tests. Researchers at the university’s Institute of Food and Agricultural Sciences detected Zika in the saliva of southern house mosquitoes collected in Florida. Chelsea Smartt, an associate professor at the UF/IFAS Florida Medical Entomology Lab in Vero Beach, said her research supports that the mosquito species, known scientifically as Culex quinquefasciatus mosquitoes, can contain live Zika virus in saliva. As of right now, the mosquito species Aedes aegypti is considered the primary carrier of Zika virus. Smartt said researchers must perform more experiments to know whether and how much of a role Culex quinquefasciatus plays in spreading Zika. Scientists worldwide have been studying the origins of Zika and how to control it. In 2016, Zika caused cases of microcephaly, which is a rare neurological condition in which an infant’s head is significantly smaller than the heads of other children of the same age. Culex quinquefasciatus is common in the southern U.S. and is abundant in Florida, Smartt said. 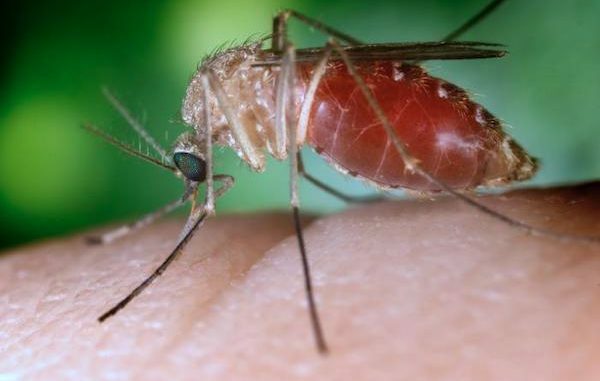 The best way to prevent mosquito bites is insect repellent, according to the CDC. The agency does not recommend using repellent on children younger than two months old.